The Unity game engine has put out their big 5.6 update which is a very exciting release, it now includes full Vulkan support! It's going to be interesting to see how many Unity games get updated to use Vulkan, but going forward hopefully much newer Unity games will see great performance on Linux. Sadly not many developers go back to update older games, so this will mainly help with newer games I think. The Unity developers claim they've seen a 30-60% rendering performance improvement out of the box, just by using Vulkan. They didn't stop there, as it also includes lighting improvements, a big update to their particle system, improved graphics performance and more. See their full blog post for all the info. Exciting times for gamers and developers! Now hopefully, more and more games will be coming out with Vulkan support out of the box. About updating older games. I'm still waiting for developers of Armikrog to release the update with newer Unity, which fixes the annoying double cursor bug. But at this point, I'm not sure they are going to do it. This is the big one we have been waiting for, as the vast majority of Linux games uses Unity as engine. Suddenly most new games can and will support Vulkan now and many existing ones can be economically updated. Vulkan is no longer the future, but the present! Maybe Cities: Skylines will finally get decent performance. I am quite hopefull for that. The big hurdle for Cities Skylines was that it used Unity 4 combined with all the mods that would seriously break on such a major change. But they did it, CS is now on Unity 5 and since then they have upgrade a few times already. If they do Unity 5.5, why not 5.6 if it brings such a major benefit for one of their platforms? However, nothing will help against workshop content with way too much triangles in it. 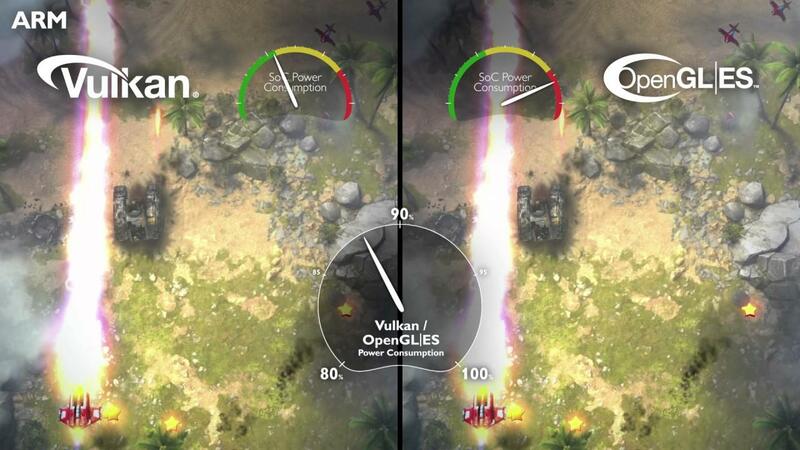 Although this may not show beneficial for games we already love, the adoption of Vulkan on one of the biggest game engines is big news for the Linux gaming world! Time to spam our favorite developers with emails about the forgotten realm of *nix gaming, lol. With that said, I reported a bug from the 5.6 beta (reported from 5.6.0f1) because the Vulkan API wouldn't initialize due to a missing unity file which should have been automatically included in the build process. This was tested on 2 different machines building from the editors on both Ubuntu 16.04 and Windows 10. The last week of March, henceforth, shall always be known as the week of Vulkan. edit: I have two computers that both run every stable Vulkan thing I've thrown at them, they will not run a Unity build with Vulkan as the only graphics API. If you know how to use Unity and want to test, make sure you DON'T just drag the Vulkan API target to the top. You need to remove OpenGL Core from the graphics APIs list, or else you'll think Vulkan is working, when in fact it has fallen back to OpenGL. edit: It's probably also worth noting that the same game builds and runs fine on Linux with OpenGL, and builds and runs fine with Vulkan under Windows. It's just Vulkan on Linux that doesn't work. I've tweeted the issue to Unity and one of their Linux developers to highlight it.